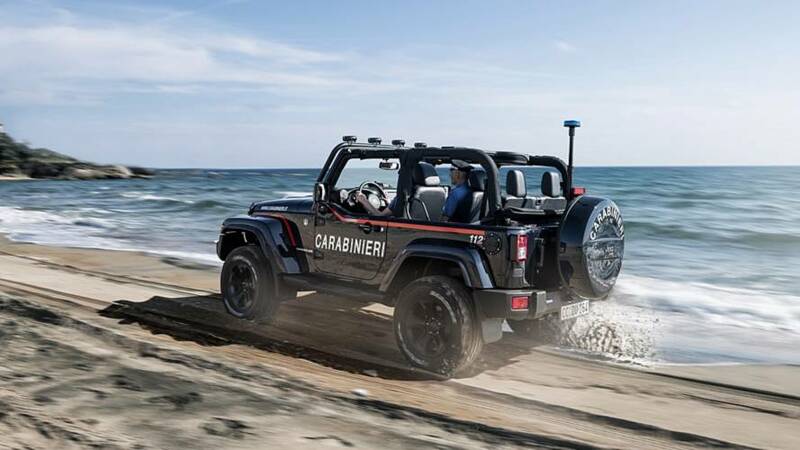 The rugged SUV will patrol the Romagna coast, between Cattolica and Bellaria. 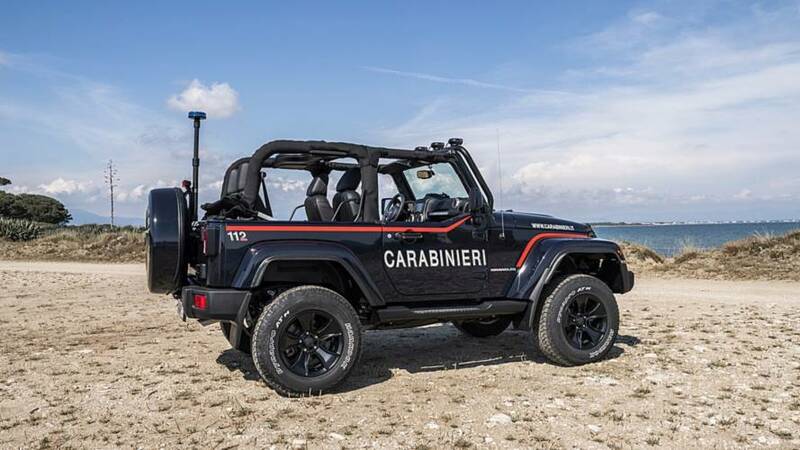 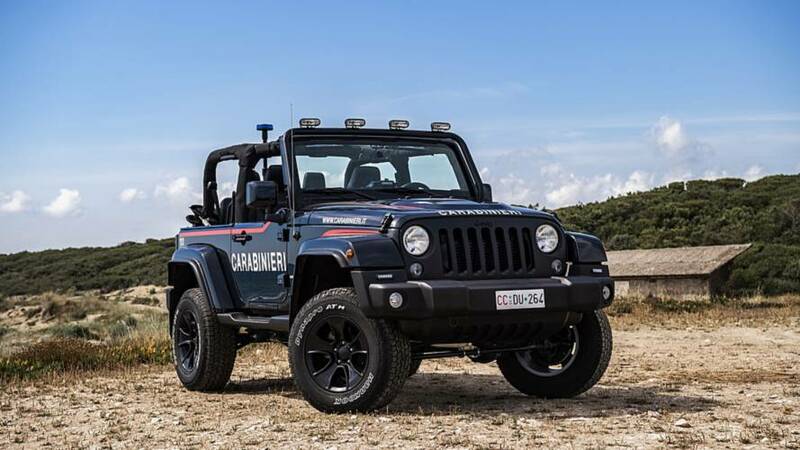 The Carabinieri Jeep Wrangler (nicknamed Gazella, or Gazelle) will drive directly onto the shoreline, Baywatch style, patrolling the hottest parts of the Romagna coast, including popular destinations like Rimini and Riccione. 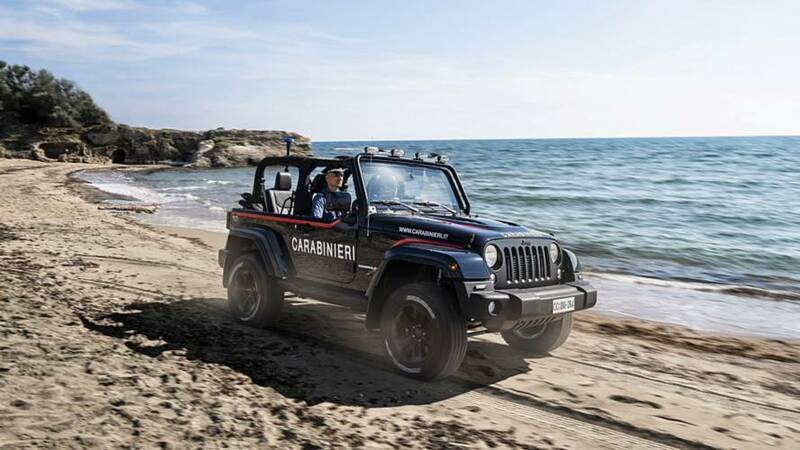 Enhanced with a special Mopar One package, the Jeep gets a two-inch lift with special shock absorbers, a stabilizer bar, 17x 8.5-inch black alloy wheels with 32-inch oversized tires, front and rear splash guards, and mudguards with side tangs. 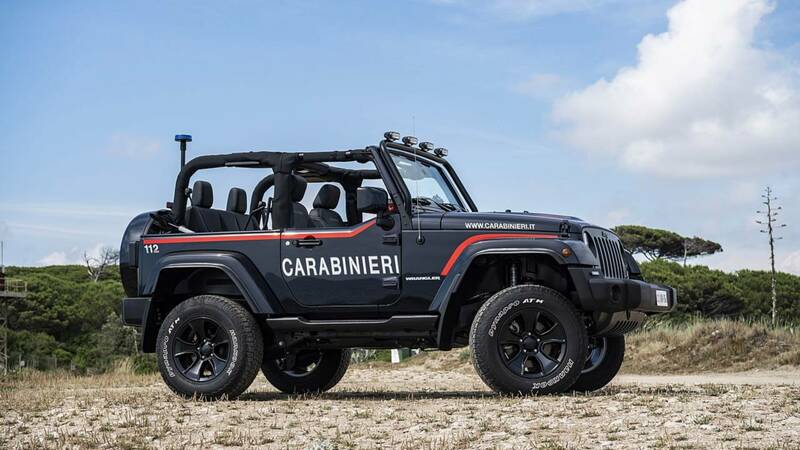 Being a Gazelle of the Carabinieri, there are also flashing lights and sirens, as well as a portable radio, among other features. 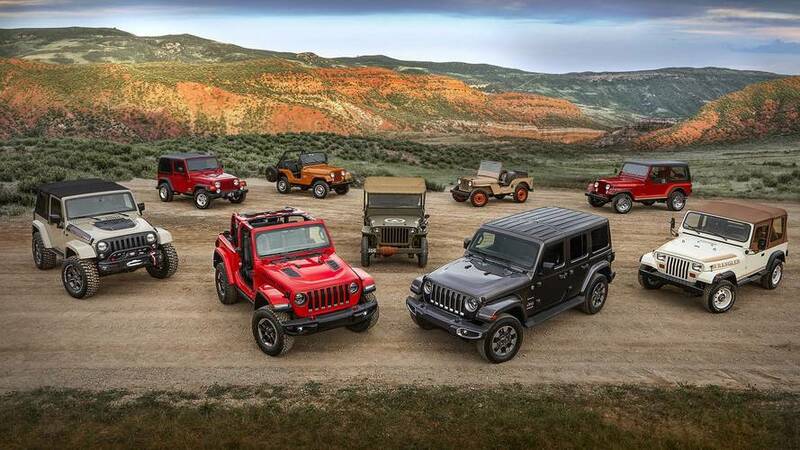 Power comes from a 2.8-liter diesel four-cylinder engine, paired to an automatic transmission producing 158 horsepower (118 kilowatts) and 295 pound-feet (400 Newton-meters) of torque.